A simple lemon and red peppers flake marinade for chicken tenders and this chargrilled lemon garlic chicken is on the dinner in about an hour. Need an easy chicken dinner that grills up in a snap and is tender and juicy? 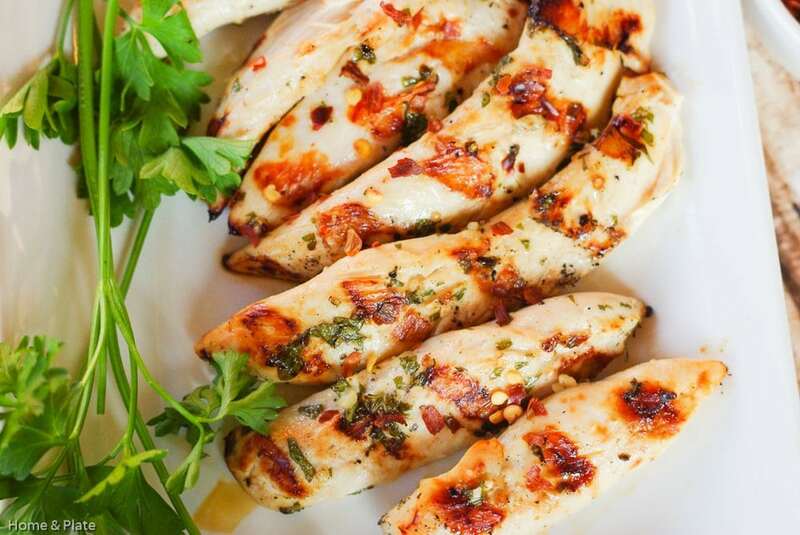 Winner, winner – Chargrilled Lemon Garlic Chicken is for dinner. 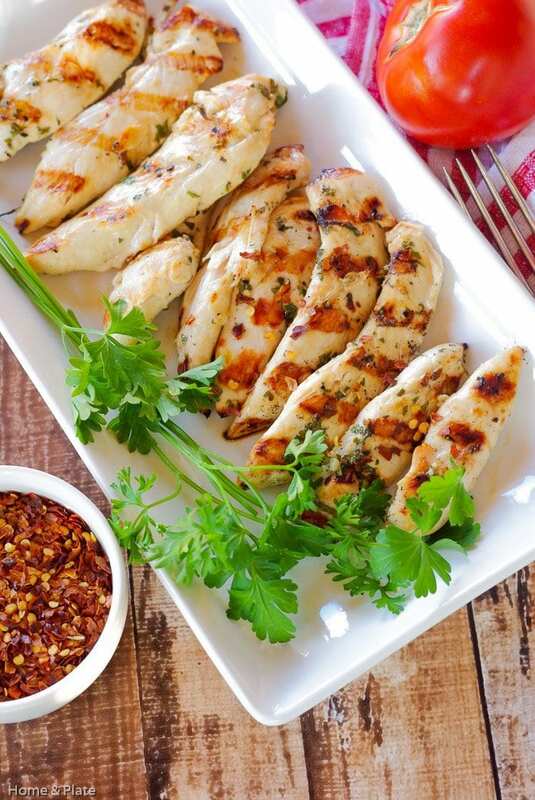 How many times have you grilled chicken only for it to end up dry and flavorless? Not this recipe. Follow these simple steps for juicy chicken that’s full of flavor. This marinade uses simple ingredients that you can easily find in your fridge and pantry. Olive oil, freshly squeezed lemon juice, a little parsley and garlic is all you need. 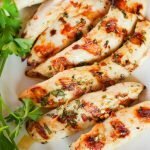 I like to use boneless, skinless chicken breasts sliced into cutlets or tenders for this recipe because the thicker the chicken breast the longer it takes to marinate. Cutlets and tenders marinate quicker and the flavor really penetrates the chicken. A hour is all you need. Don’t marinade it any longer because you don’t want it to “cook” from the lemon juice before chargrilling. Chargrill the chicken in less than 10 minutes and pair it with a Tomato Caprese Salad or Couscous with Roasted Veggies. Slice the chicken breasts on the horizontal to make 8 chicken cutlets. Arrange the cutlets in a baking dish. In a bowl, add the olive oil, lemon juice, minced garlic, pepper flakes, parsley, salt and pepper. Mix well and pour over the chicken cutlets. Let the chicken marinate for an hour. Fire up the grill to medium heat. Grill each chicken cutlet for about 3 to 4 minutes a side or until chicken is cooked and the juices run clear. Me too…this recipe is easy too. 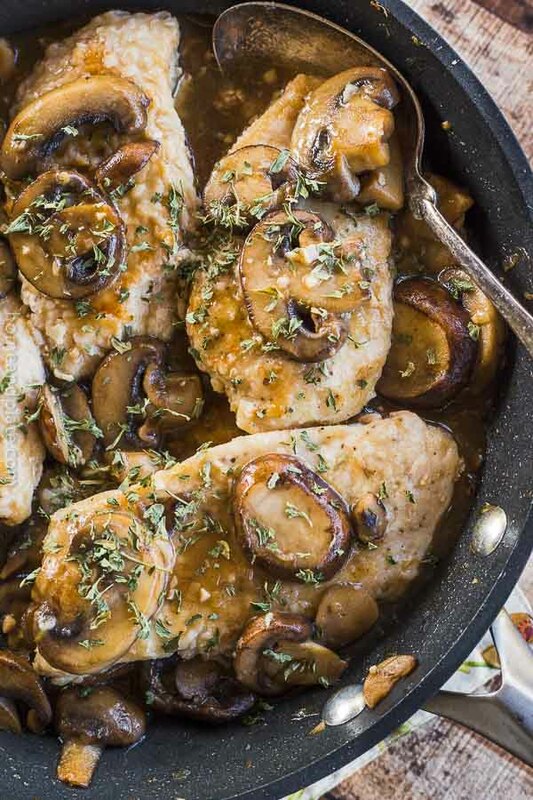 This looks so light and healthy — and hallelujah – it’s perfect for the South Beach Diet, phase I — my husband and I are on Day 8. This will definitely make it on our table this week! 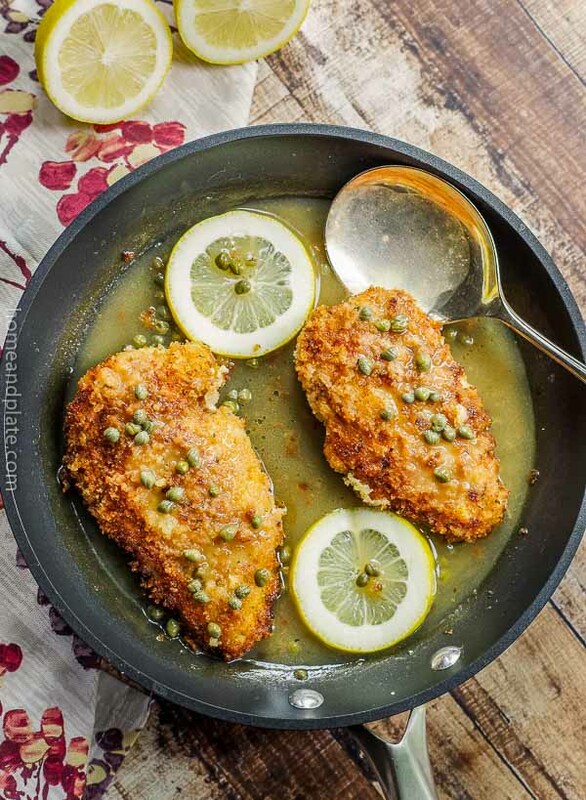 Lemon and garlic go so well with chicken! Lovely! Thanks Sherri…the pepper adds a bit of heat and the parsley just add great flavor. Gorgeous pics.. This looks amazing. We eating chicken a lot so I always need new recipes!! Thanks Renz…such an easy marinade yet full of flavor! Your Chicken looks delish, I made something very similar yesterday! Sometimes just a few simple ingredients make the tastiest meals! That is some perfectly cooked chicken. lemon goes so well with chicken, doesn’t it. Full flavor and great char marks on this chicken. 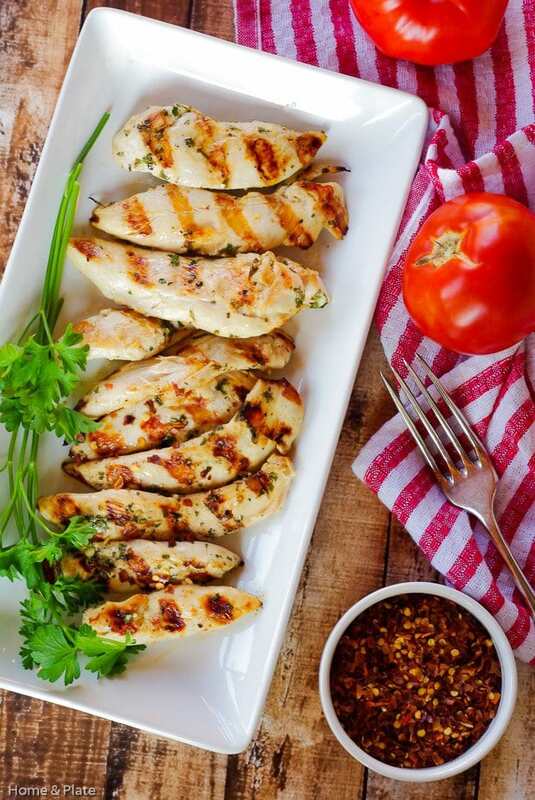 Simple and gorgeous grilled chicken! 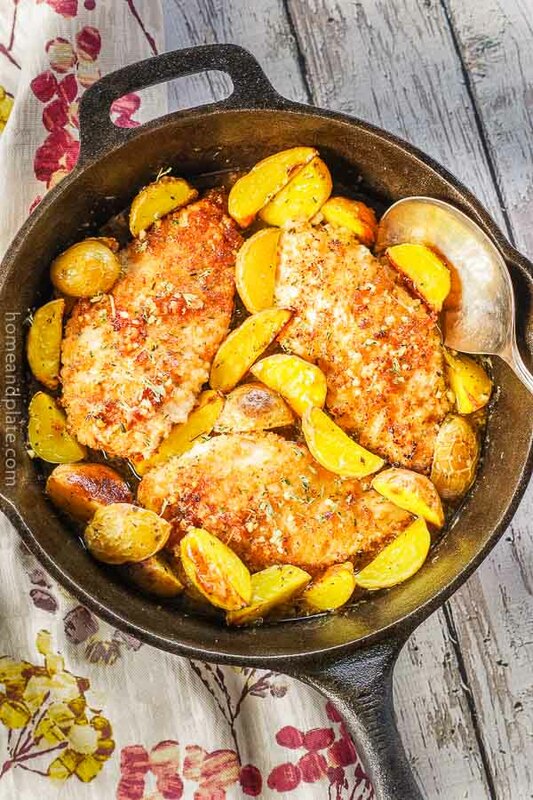 It is so easy to dry out chicken breast, and marinating it definitely helps… Great post, and gorgeous photos! Thanks so much…can’t wait for grilling season to get into full gear. What a beautiful marinade. I love the simplicity. 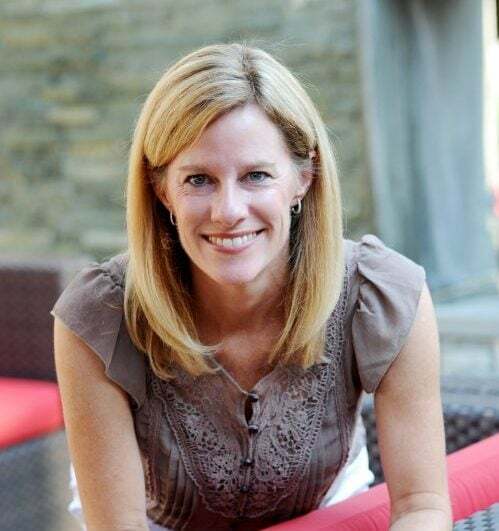 I just discovered your blog today through StumblUpon, and I love it! I am in love with your photographs and must say it is Quite Innovative recipe. I will Got to try it! Thank you Alma…I am so glad you found me:) I hope you enjoy taking the time to visit and please don’t hesitate to reach out.